Downtown Grand Rapids MI real estate features plenty of architectural Downtown Grand Rapids MI homes. Just as important as finding Downtown Grand Rapids homes that you like the appearance of is also researching the community surrounding Downtown Grand Rapids real estate. Not only is it important for you to ensure that you like the structure of Downtown Grand Rapids homes for sale, but it is also important for you to like the community too since you’ll be living and working in it. The Grand Rapids area has always been a beneficial place to live in. The early Mound Builders recognized the area’s worth as did the Ottawa Indians later on. The English settlers didn’t end up acquiring the property until the late 1800s when they gained it from the Ottawa tribe in the Treaty of Chicago. Since then, the settlers began to develop the land until it become known as a great agricultural area and later as a manufacturing metropolis. There are nearly 50 parks near the real estate in Downtown Grand Rapids, all of which have different features and amenities. For instance, some of the parks feature hiking and walking trails whereas others have dog trails for walking your pets. 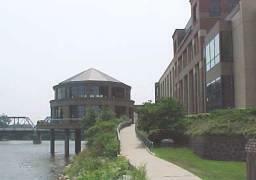 Some have recreation centers, lakes, streams, rivers and bike paths. No matter what type of outdoor activity you enjoy, you are sure to find a park that is tailored to your sport in the Grand Rapids area. One of the biggest allures that homes for sale in Downtown Grand Rapids have is their close proximity to numerous attractions and activities. 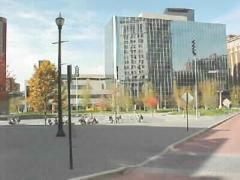 One of the most popular attractions is located at Calder Plaza. 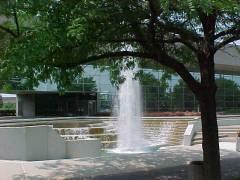 La Grande Vitesse is Grand Rapids’ iconic structure that tourists from all over the nation travel to see each year. 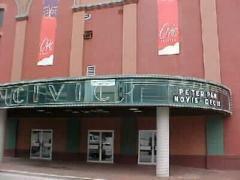 Other types of attractions found in the area include family fun parks, museums, zoos and performing arts centers. 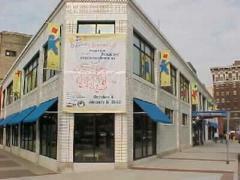 Many events take place in the area that the Downtown Grand Rapids home buyer can enjoy. There are arts and crafts festival, exhibitions, family fun nights and so many other events. Enjoy weekly wine tastings at the Bar Divsani, Trivia at JD Reardon's and many other regularly scheduled events. There is always something happening in Downtown Grand Rapids. Bev Boerman will be able to help you find the best home for you in this area. Bev Boerman knows the area’s market so you don’t have to do as much searching. The Grand Rapids Ballet: This professional ballet company performs in the DeVos Hall and offers classical ballet with the accompaniment of a symphony orchestra. Recent performances include: The Nutcracker, and Cinderella. Call (616) 454-4771 for more information.www.grballet.org"
La Grande Vitesse: Calder Plaza, Ottawa Ave, between Michigan and Lyon NW. La Grande Vitesse means the"great swiftness" or the "grand rapids." 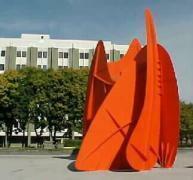 Internationally known sculptor, Alexander Calder, designed this piece specifically for this site. It was installed in 1969. It is one of the most familiar landmarks known to the locals as "The Calder". Meyer May House: located at 450 Madison Ave. SE. 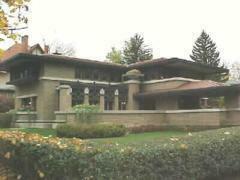 One of the most complete restorations of Frank Lloyd Wright in existence today. It was built in 1908 and can be found nestled in the beautiful Heritage Hill District. Steelcase Inc. has restored this prairie-style home for all to view. Call (616) 246-4821 for more information. 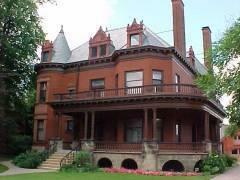 Voigt House Victorian Museum: located at 115 College Ave, SE. This elegant mansion was built in 1895 and is located in the center of the Heritage Hill District. 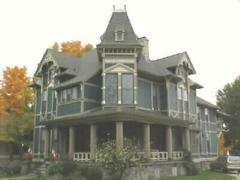 This beautiful Victorian house belonged to Carl G.A. Voigt family and still contains their private furnishings and personal possessions. It is currently owned by the Public Museum of Grand Rapids. Limited tour times are available. For more information regarding group tours, weddings, and other special events call (616) 456-4600.